Our latest issue will go live at midnight EST. That this first issue of the year features stories that pair well, and in some ways act as balance for each other, is quite unintentional. Narwhal and See Sky Sea Sky feature stormy waters, in very different ways. Dia de los Muertos and Vestiges examine a keening loss from a similar vantage point, each with their own unique voice. Rootless and Pure of Heart address imperfect decisions. I’d also say that if there were an equally unintentional theme to accompany these pairings it would be loss and redemption. Loss, but also finding one’s self, even if the unavoidable change that comes with loss cannot be shaken off. 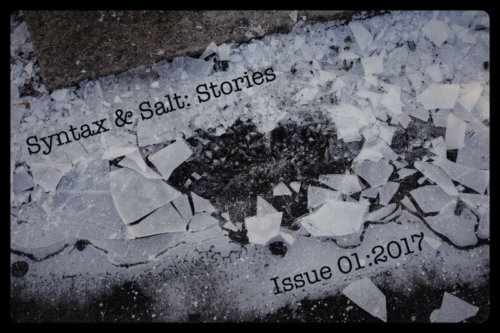 This is a smaller issue than our previous ones, but I believe that the stories we’ve chosen are so well wed together, that the impact is just as large as any of the previous collections to date. Please enjoy.